Anatolian Shepherd Dogs | A Remarkable Working Dog Breed! Anatolian Shepherd dogs are actually known by a number of names, one being Karabash, which in Turkish translates to “Blackhead”. Although a very large, strong, and rugged breed of dog, Anatolian Shepherds are also known for having a somewhat slender build, and surprisingly, tremendous agility. This talented herder is believed by animal experts to have evolved from similar breeds, dating back some 6,000 years, that protected livestock of sheep from common prey such as cheetahs, bears, jackals, and wolves. With rising interest in contemporary herding dogs in the western world, breeders from the United States began conducting in-depth research regarding Anatolian Shepherd dogs and their origin. To the best of their knowledge, it was found the most likely origin of this particular breed was the result of Akbash and Kangal breeds from Turkey. Today, the Anatolian breed has become a popular choice specific to herding in North America due to the dog’s incredible hearing, visual, and strength attributes. As mentioned, Anatolian Shepherd dogs are large, often compared to the Great Pyrenees. Both male and female dogs are quite muscular, featuring broad heads and thickened necks although there are differences in actual size. Coat Color: Most commonly the coat is seen in patterns of fawn, white cream, biscuit or white, but can be one solid color. Some dogs may also have a black mask and/or black ears. Coat colors of puppies may change significantly as they mature to adulthood. Typically, females stand between 27 and 30 inches tall from the shoulder and weigh somewhere around 80 to 120 pounds while males stand between 26 and 31 inches tall and reach up to 150 pounds. Additionally, some dogs have black ears and mask while some do not. Based on the dog’s lineage, the coat would be of medium or medium long length. Like many shepherd type breeds, the Anatolian has a dense, double coat. Because of this, extensive shedding is to be expected. Therefore, anyone interested in this breed should be prepared to provide regular grooming to keep the coat in good order and to avoid having the hair pile up around the house. Anatolian Shepherds also grow a thick band of hair around the neck, which serves as a means of protection to the throat, as well as thicker hair on the tail. Use a slicker brush for the undercoat to prevent matting. For deshedding, a very exceptional grooming is the FURminator . Many large dog breeds only live to about 10 years of age but the Anatolian Shepherd usually lives to 12 years, often more. However, being larger, this type of dog is prone to certain health concerns often associated with bigger breeds. The most common include Hip and Elbow Dysplasia, in which the hip and elbow joints respectively develop or grow abnormally, Osteocondrosis Dissecans, which involves some degree of separation of an area of cartilage from bone, and Hypertrophic Osteodystrophy, a bone disease that causes significant pain. Along with these common health issues, this kind of shepherd would be at risk for Panosteitis, also referred to as a “long bone disease” or “growing pains”, Anterior Cruciate Ligament Rupture whereby a knee ligament tears and becomes unstable, Entropion, a condition of the eyelid, Hypothyroidism, a thyroid gland disorder, and Epilepsy where the dog would have recurring seizures, among a few other minor conditions. Although some health concerns simply go hand-in-hand with this dog breed, purchasing this specific kind of dog from a highly reputable breeder would certainly reduce potential problems. 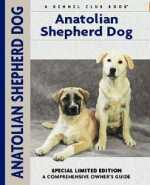 People who have owned Anatolian Shepherd dogs would agree this breed comes with a unique personality. Because herding is such a huge part of the dog’s inner breeding, it is imperative to provide intense obedience training while still a puppy to keep the alpha mentality in check, which typically includes stubbornness and issues with being territorial. However, with proper training, this dog would make an exceptional herder, and often a family pet. In fact, not only are Anatolian Shepherd dogs usually loving, faithful, and gentle with family members, they make outstanding guard dogs. By nature of the breed, a large outdoor area where the dog could play and work is mandatory. Since this breed is active, unless being used to herd, it would be essential to provide this type of dog with daily workouts or other forms of physical activity. Without sufficient exercise, boredom and frustration could cause the strong personality to come out in a negative or destructive manner. For this reason, it is generally recommended only experienced people own this breed, those qualified to offer ongoing exercise, training, and socialization. If kept outdoors full-time, Anatolian Shepherd dogs need a large fenced in area unless living on spacious private property away from other homes. If allowed indoors, whether part-time or full-time, this breed would also need room to roam. Again, the most important consideration is providing this dog breed with daily exercise and/or stimulation. Dogs falling within this group of shepherds can do well with children, but because of the potential for dominance, as well as large body size, this dog would be best suited in homes with older children, but also children taught the appropriate way of handling a larger dog. When brought into the home as a puppy, as long as training is provided and older children are educated about proper animal care, the match would be good. Otherwise, Anatolian dogs should only be considered by experienced pet owners. Because Anatolian Shepherd dogs are large, strong, active, and have a reasonably high level of potential for dominance, they would not be recommended as a pet or companion for the elderly.